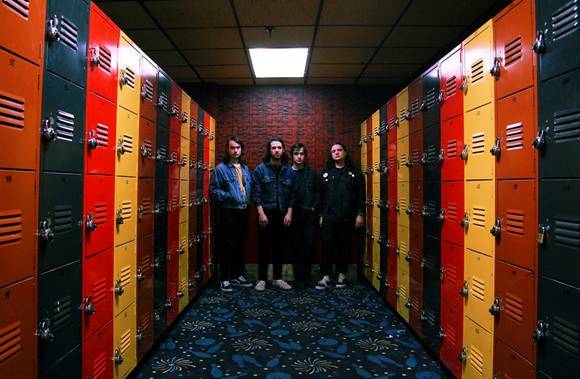 With their debut album White Reaper Does It Again coming out 17.07.15 on Polyvinyl Records, these high-speed garage punk darlings have released another intense riff-filled gem. 'I Don't Think She Cares' is the second single from the White Reaper's upcoming album and it tears through its two minutes of existence with reckless abandon. Their song writing and guitar solos are reminiscent of the golden days of indie's second wave; when the charts were filled with Pigeon Detectives and Strokes. It's been almost a year since their self-title EP and so far every thing we've heard from their first full album has promised us foaming-at-the-mouth-levels of energy and excitement.